Twenty years ago disgraced Soviet cosmonauts were airbrushed out of official group shots. 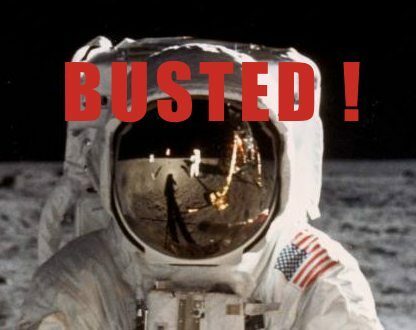 David Percy would have us believe that, for nearly 30 years, NASA has perpetrated the biggest hoax of all time, faking evidence of man’s activities on the Moon. You, the readers, looked at the evidence presented by Percy in FT94 and uttered a resounding: “Oi! Percy! No!” Bob Rickard wades through the biggest postbag we have ever received. WHY ARE THE SHADOW ANGLES ALL OVER THE PLACE? The topic which generated the most objection concerned the directions and shapes of various shadows which, Percy argued, were not parallel as one would expect if cast by the Sun. We’ll deal with the lighting issue below, but generally, it seemed to many, that Percy made no allowances for the irregularity of shadows created by irregular 3D objects on irregular 3D surfaces, as David Podmore put it. Bumps and undulations can distort the apparent shape of a shadow, said David Jeffrey. James Oberg reminded us of the controversial observations of moon spires in the mid-1960s, illusions created when ordinary boulders cast shadows that looked like those of tall towers because they ran downhill. Distortions could also be an artifact of the photography. Ray Spears and a number of other photographers wondered whether Percy understood the optics of wide-angle lenses, as these distort parallel rays. An Anonymous ex-NASA planetary scientist went into some detail: Apparent sun shadow vectors are not parallel in a photograph unless taken with a fairly long lens and/or in a direction well away from the sun vector. [..] I went to my own files and found comparable shots, in terms of lens coverage and sun position. Yup! Huge shadow divergence; comparable to that in those fake lunar photos. WHY ARE SOME SHADOWS FILLED IN WITH DETAILS? Many respondents questioned whether Percy understood anything about the nature of light and lighting in the lunar landscape. The lunar surface was not flat, nor of an even texture and coloring, so Percy’s expectation that flat surfaces are evenly lit by the sun was unrealistic and not demonstrable in his examples. Percy supposed that curious lighting effects, which revealed detail (or fill) in some shadows, could only be achieved on a studio set with many different sources of light, including light reflector panels. 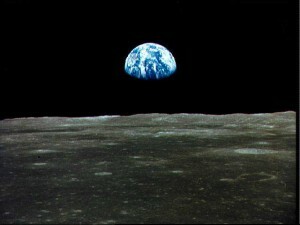 Jeff Peacock wrote: “The astronauts are being photographed by the direct light of the Sun and by the reflected light from the lunar surface around and beneath them.” Bill Jacobs, an astronomer at San Diego University, reminded us that there is another source of light and shadow on the moon; the Earth. The Earth is far from being a point source. A full Earth seen from the Moon covers about 13.5 times as much sky as a full Moon seen from Earth, a bit less than 2° angular diameter. Peter Grego, director of the Lunar Section of Britain’s Society for Popular Astronomy, did some calculations of the two bodies reflecting power and declared the full Earth is an incredible 68.4 times brighter than a full Moon. The Sun and the Earth, therefore, qualify as Percys big super lights while the lunar landscape itself acts as one big fill reflector reducing (or filling-in) shadows. Find out more about the holes in Percy’s theory in Fortean Times 97.